Wednesday night’s Chicago PD episode, entitled “Night in Chicago,” is absolutely a must-watch episode. Without giving anything away, it may also be one of the best LaRoyce Hawkins performances that you’ve ever seen. You’re going to see Atwater, in the midst of a case, find himself subject to a random traffic stop by police that appears to be racially motivated. From there, things escalate and over the course of the episode, the consequences are both powerful and shocking. We don’t want to give too much away, mostly because this story is one for the ages and absolutely one you have to watch and experience on your own. CarterMatt – Are you able to identify the episodes that have some of your best performances while you’re filming them? LaRoyce Hawkins – I do. It’s hard not to because that’s how they pitch it to you. Every writer or director, when they know they’re about to direct a big one, they tell you that this is about to be your biggest episode ever. I kind of get that luxury of walking in with that soft anxiety, which I just turn into intention. I do my best to put my energy into the best pockets possible to tell a great story. When you were reading over this episode for the first time, what was your reaction when you found out what they were giving you? I knew how important the story was. Even while I was reading it, the importance of it [shines] off the page. Ike Smith, with this being his first script, was able to really shock the world with how poignant and important he made this message. Nobody is right and nobody is wrong, but we all understand what was is going on. Do you know what I’m saying? That’s a testament to great writing. 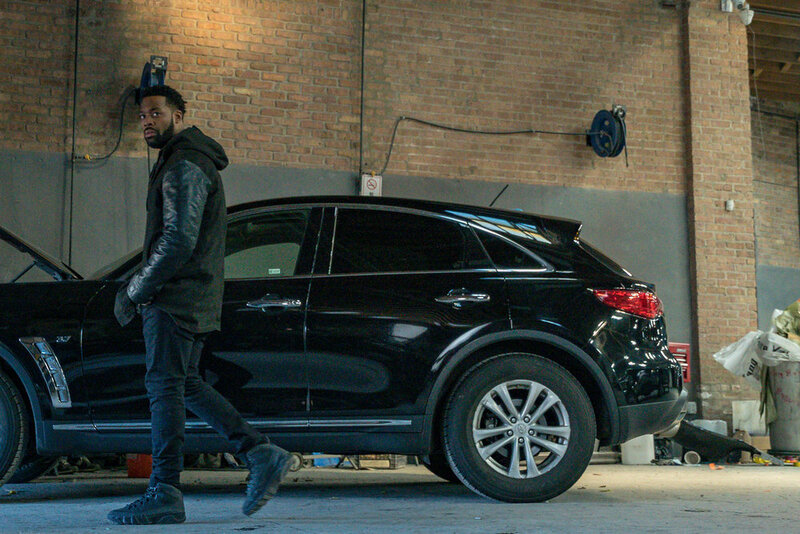 I was excited to really execute the script because Ike Smith is probably the first black writer to be represented on this magnitude on Chicago PD from the West Side of Chicago. So for me and him, both being Chicago natives — me from Harvey, specifically — and for both of us having [director] Eriq La Salle, who we respect very much, it was one of those powerful, intense dreams come true. It was quite fascinating to work with them, even the way Eriq La Salle wanted to shoot it. This was a heavy situation. And it does feel like this is the time for this story to be told. We live in this sort of strange, rapid-fire news cycle now, and this issue of police brutality, especially towards black men, is not being given the attention that it should have anymore. There are a lot of wars going on. There are wars going on individually within all of us, but then there are these waves of wars that hit the culture here and there. For a long time, this was the only thing the news could talk about — then, it doesn’t take too much for us to shift gears and to take on a totally different stimulus to stimulate us in a different way. I think this story explains a narrative that you should be able to receive and/or understand no matter what the climate is. We’re dealing with the good, the bad, and the ugly of a situation that is constantly around. It’s only really grown in a lot of different ways — whether it is police brutality, specifically, or the way that we think about each other on a smaller scale. Whether it’s the details of our races or whether it’s the rhythm in the relationships I have with friends or foes. This is a story that touches so many different elements and has so many different nuances in it that I’m not sure if it’s really all about police brutality. It’s also about brotherhood, discretion, and politics. It’s about a lot of different things. It’s going to resonate for a lot of people for a long time. The promo for the episode shows Atwater getting stopped by the police and the aftermath of that. What can you say about the events leading up to that? What the promo doesn’t show is that I’m undercover and there are all of these elements that could have been avoided. There are caveats in the story that lead us to that point and that make it pretty unexpected. If you didn’t know it was going to happen, you wouldn’t expect it to happen in that episode. It’s the gift and the curse of the preview.